Well, what a difference a week makes. Last week it seemed summer had deserted us, and winter had returned, but this week we've been experiencing a heatwave. 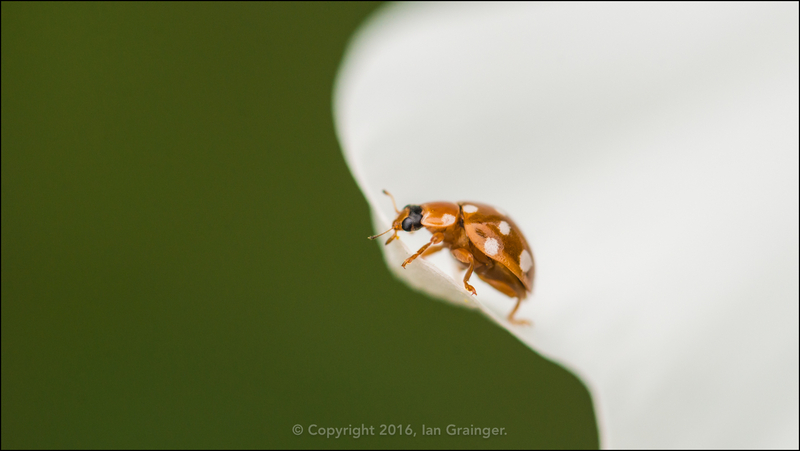 The heat brought the insects back to the garden, including this lovely Cream-spot Ladybird (Calvia quatuordecimguttata), which seemed to be enjoying the Cosmos flowers in the garden. 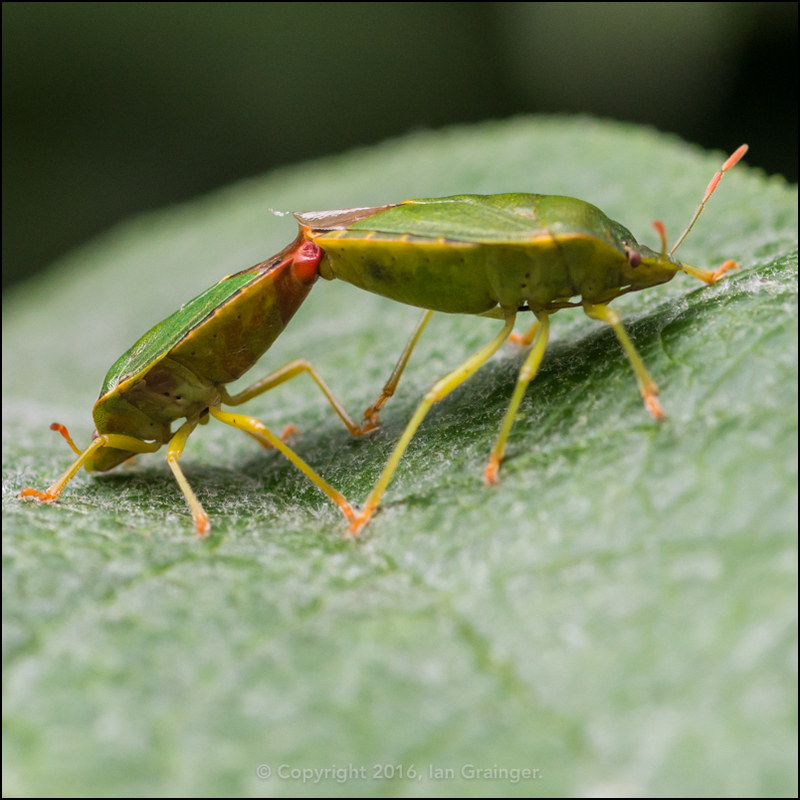 The insects were wasting no time, and getting down to the nitty-gritty of procreation, and I caught these two mating Green Shield Bugs (Palomena prasina) in the leaves of a Butterfly Bush (Buddleia). 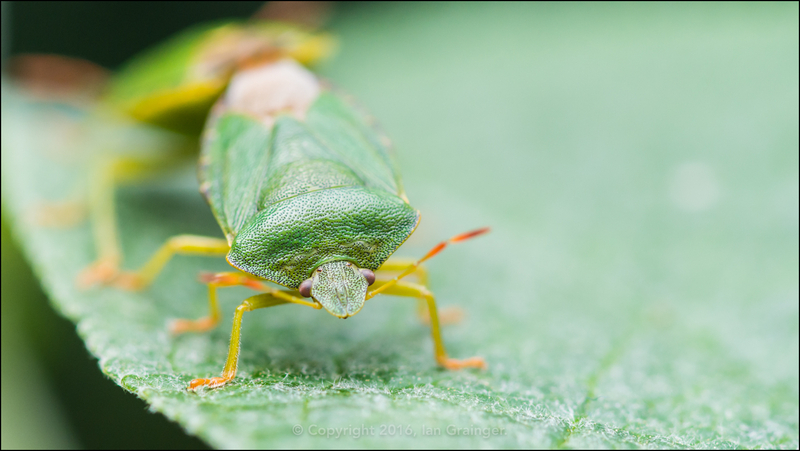 In fact they weren't the only mating couple I found amongst the leaves, and this is actually a different pair. 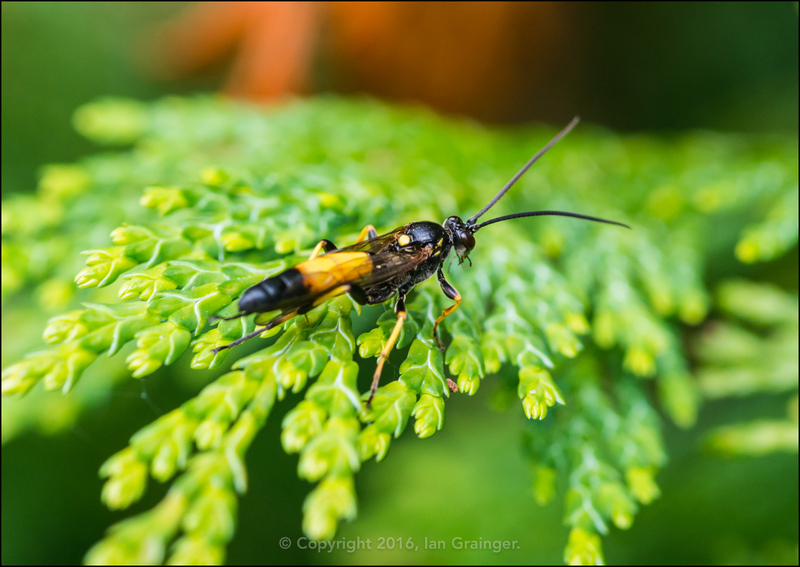 The Ichneumon Wasps were also out in the sunshine, and seemed to be attracted to the Conifers for some reason. 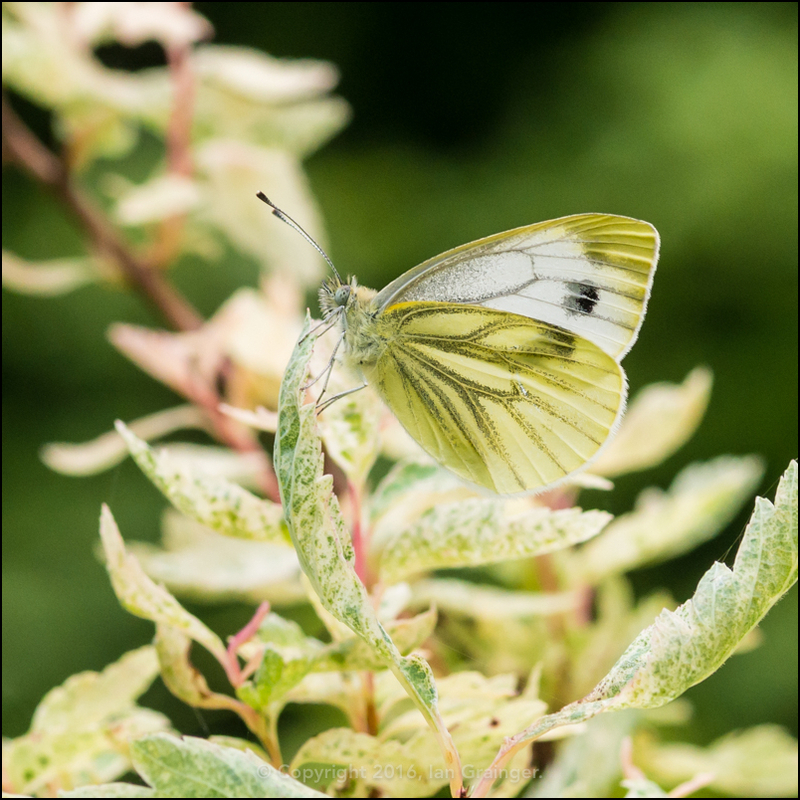 There were also a fair few Green-veined White Butterflies (Pieris napi), which had also taken to copulating amongst the Buddleia Bush leaves, although this one was minding its own business in a Spiraea Bush. 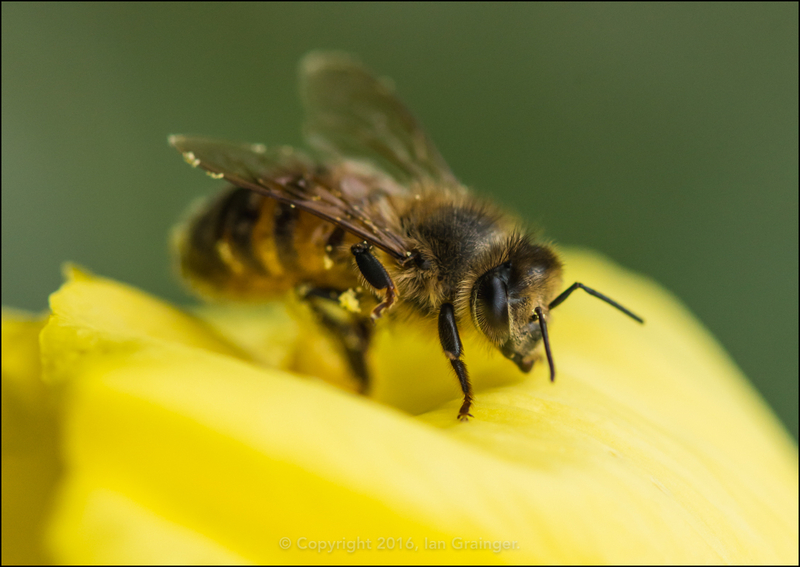 The Bees were also enjoying the sunshine, flitting between the various flowers in bloom, collecting as much pollen as possible before the rain returned. 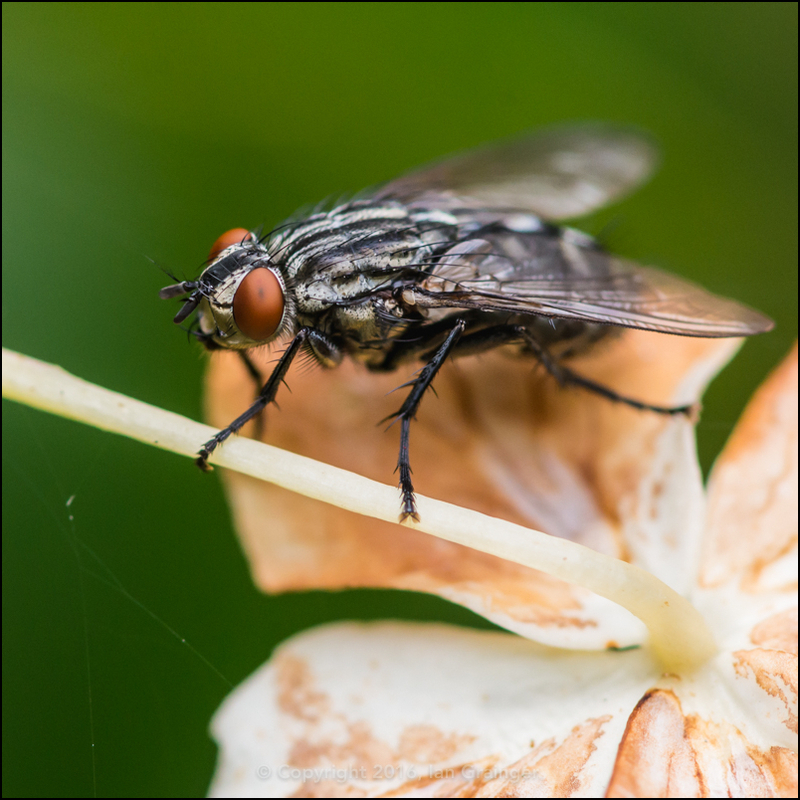 ...while this one was sitting on an old Hydrangea Bush bract. 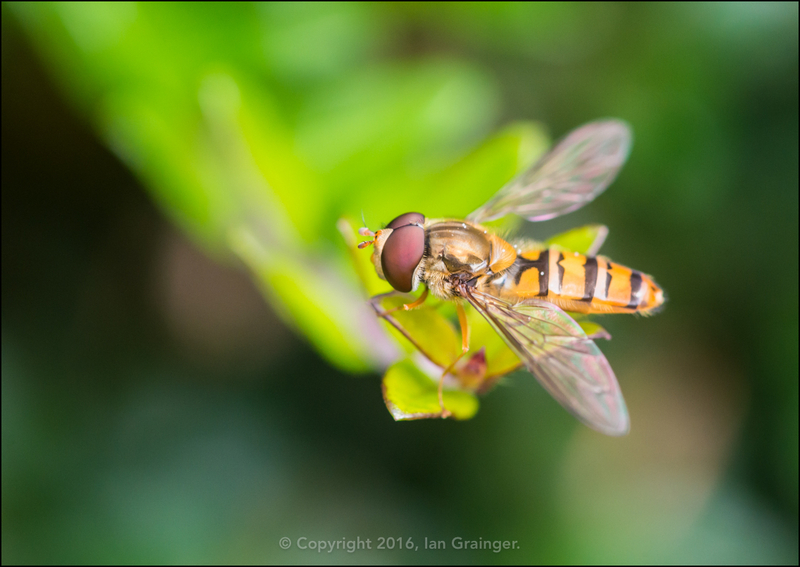 I was surprised that there weren't very many Hoverflies doing their thing, although I did manage to find this one basking in the warm morning sun. 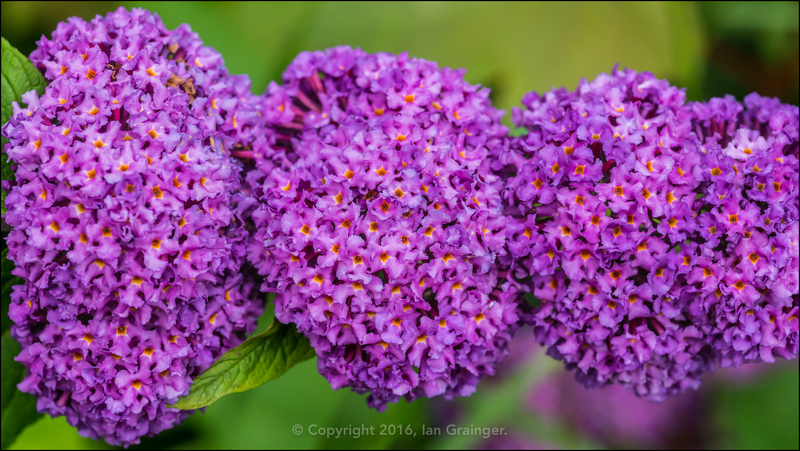 New flowers for this week in dad's garden include this very handsome Buddleia, which no doubt will do a great job of attracting lots of butterflies to his garden throughout summer. 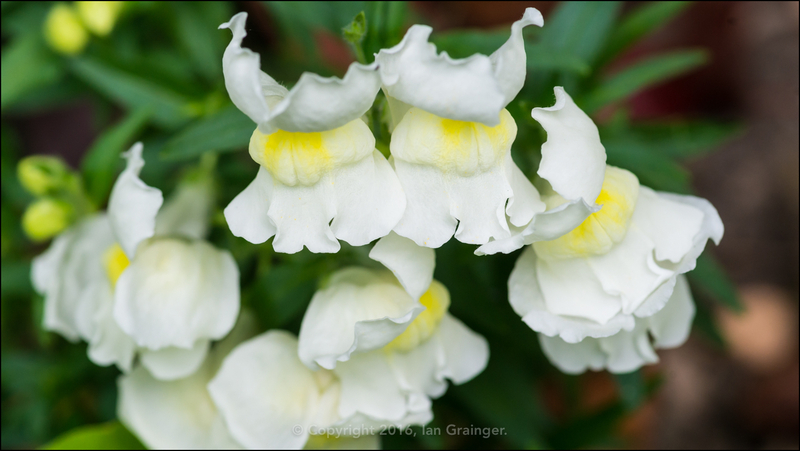 We were quite surprised to find some Antirrhinum flowers springing up, which hadn't been planted since last year, and must have self-seeded themselves. 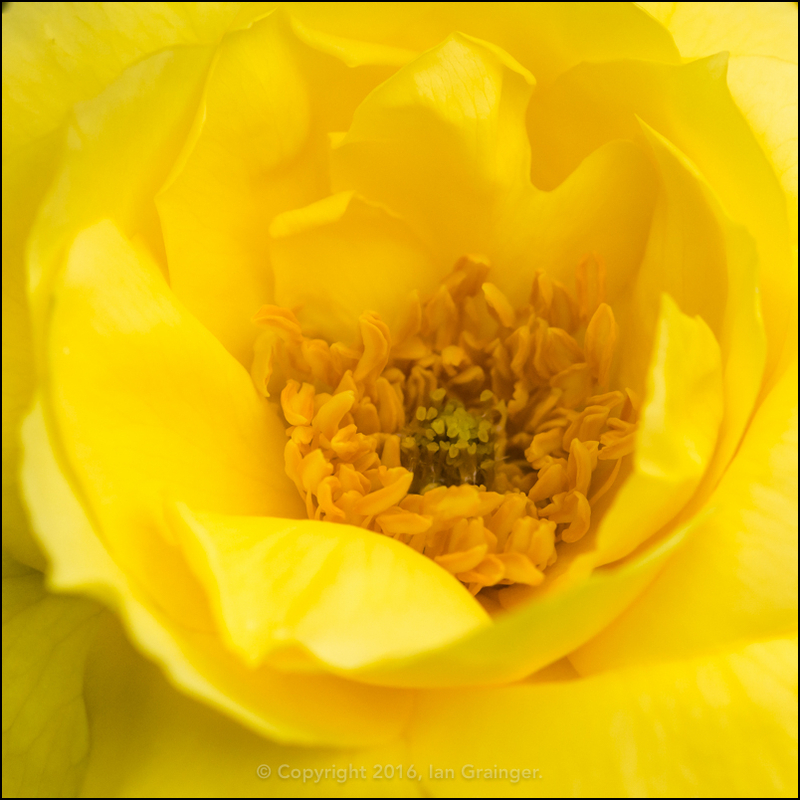 Another surprise was this yellow Rose (Rosa) which seemed to have taken on a different appearance, being much more open than we'd seen it in the past. 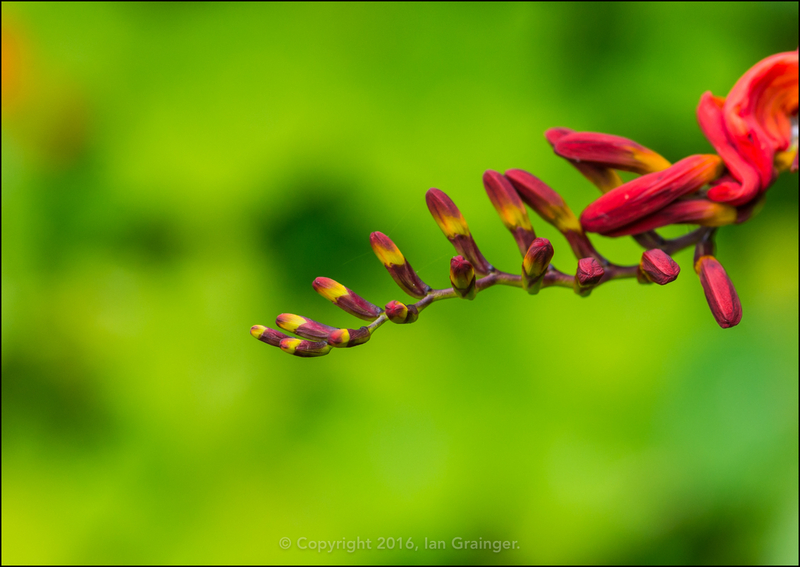 I always love the look of Crocosmia 'Lucifer' flower buds before they open, and they're always a challenge to photograph. 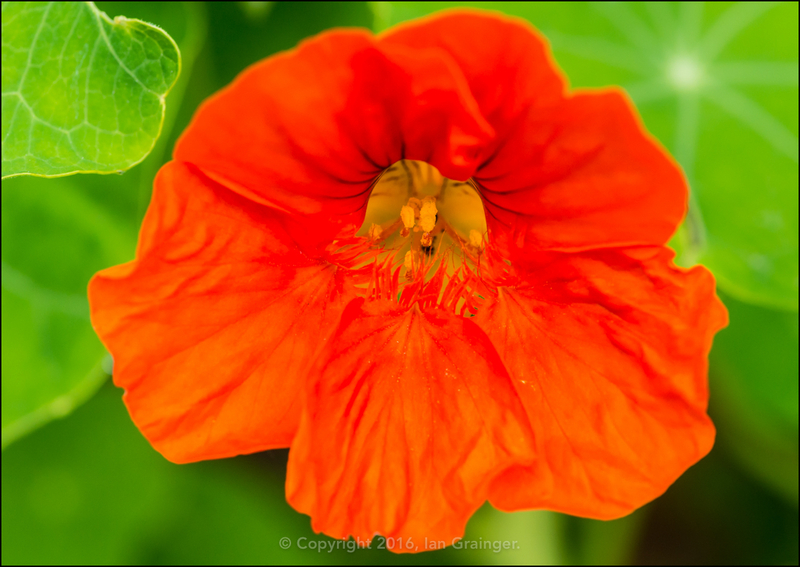 The Nasturtium's were also looking very hot, and brightening up a border or two within the garden. 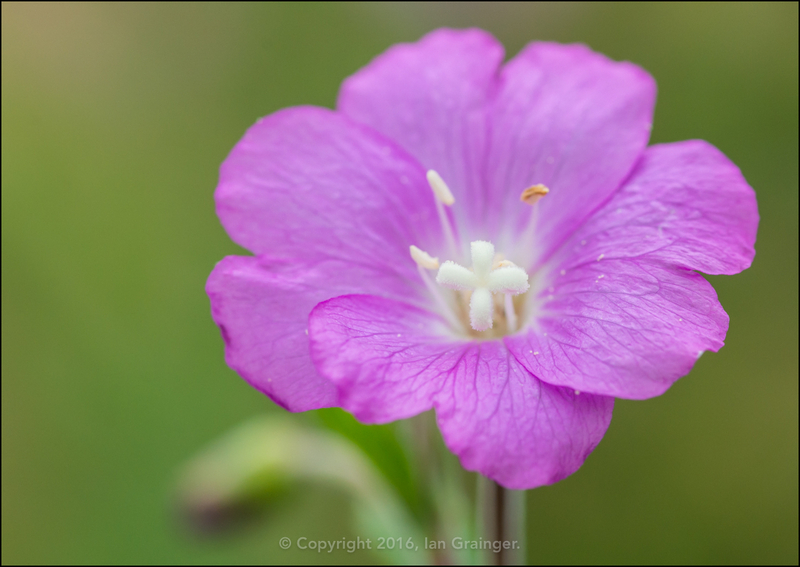 The Great Willowherb (Epilobium hirsutum) always looks so pretty at this time of year, and although it's basically a weed, I think it has its place in the back of a border. 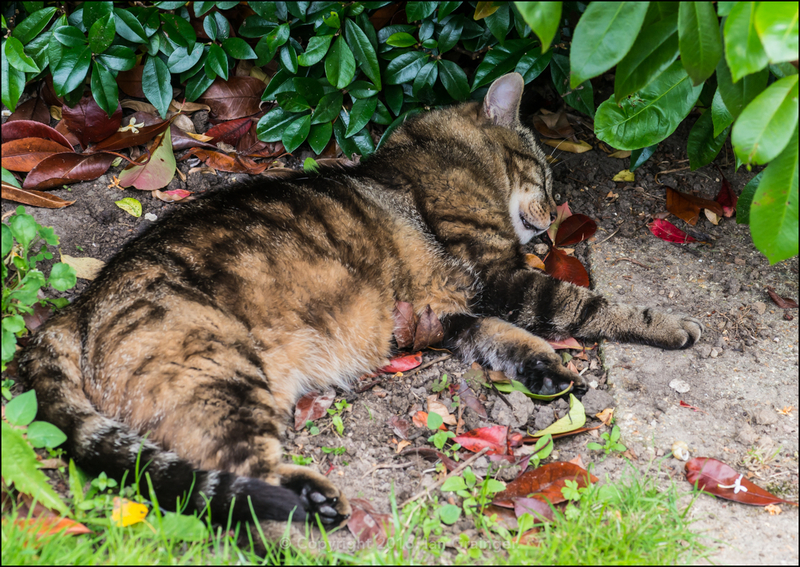 I have to stress that it was a very hot day when I took the pictures above, and although my little furry friend tried to follow me around as usual, the heat eventually got to him! He finally plonked himself down in the coolest, but dustiest place he could find and dozed off. 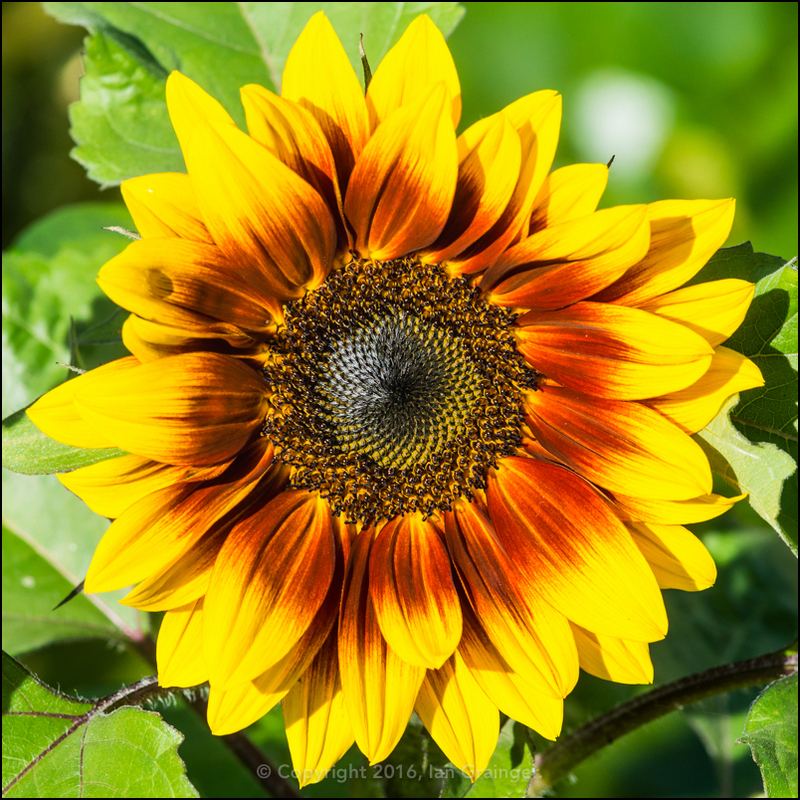 ...and it wouldn't be long before the Asters would be joining them. 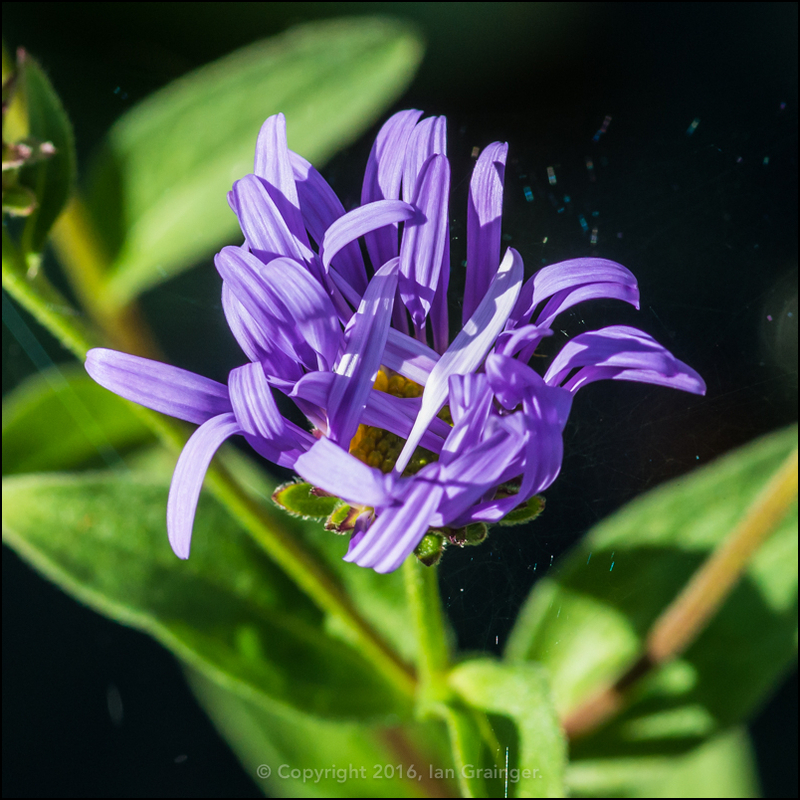 This is a variety called Aster frikartii monch, which has lovely slender blue petals and a bright yellow centre. Hopefully next week we'll get to see it in all of its glory. 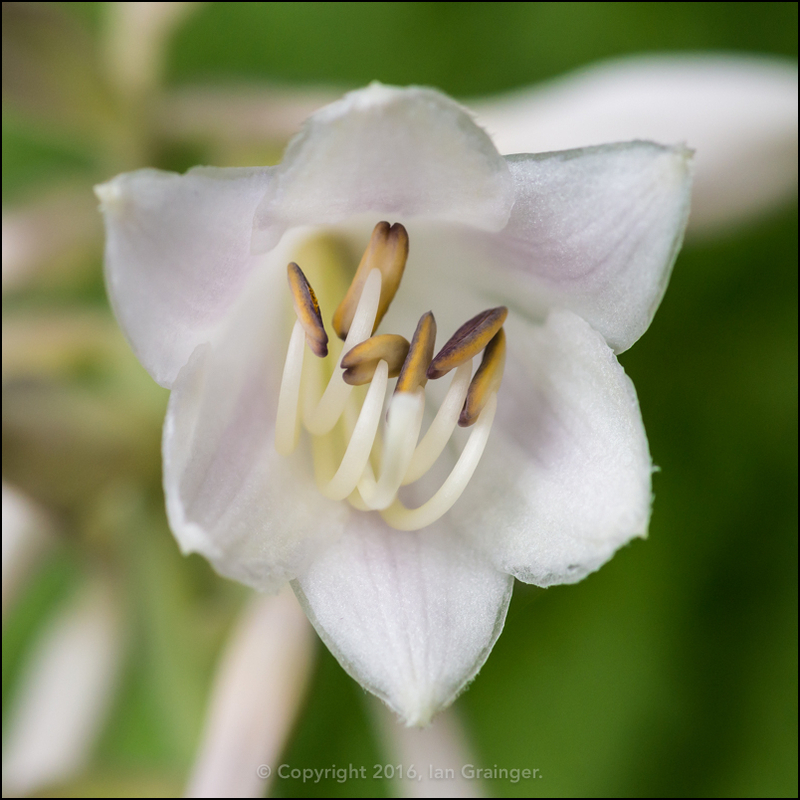 The Hosta's have also begun to flower, and while you primarily grow them for their lovely green foliage, they also have quite pretty flowers. This one is variety Hosta aquiba drinking gourd. 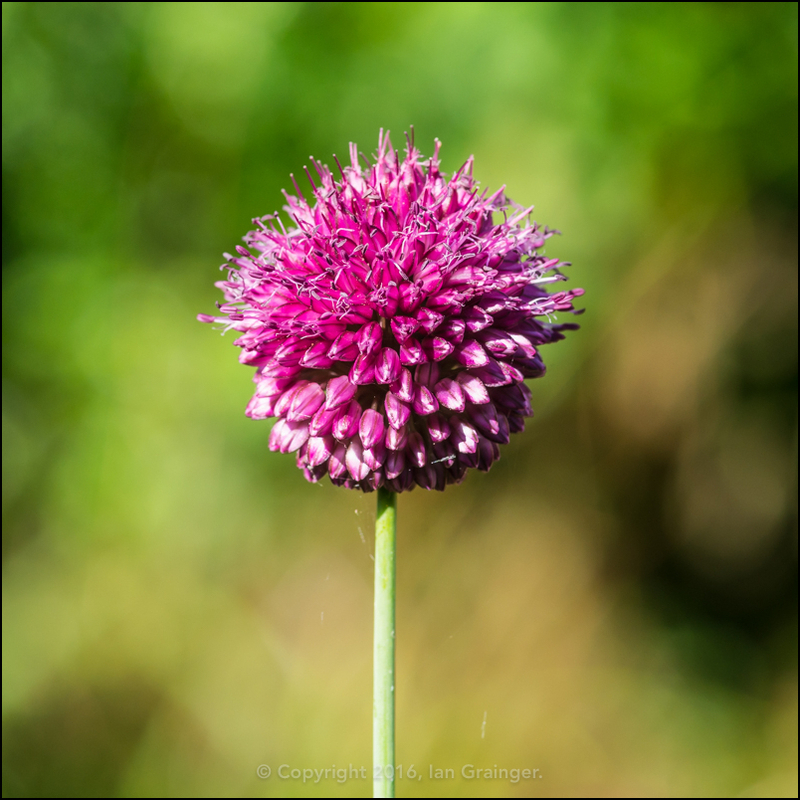 The bees are very happy that the Drumstick Alliums (Allium sphaerocephalon) have finally burst into bloom. It's a wonder that there are none in this picture, as they're almost constantly covered in them! 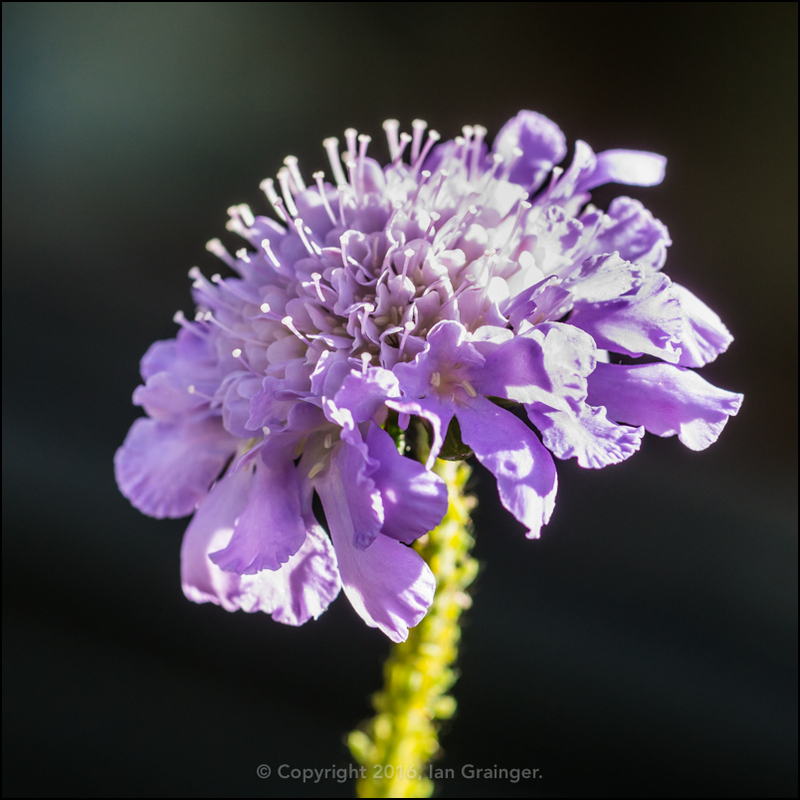 I'm very pleased with this Field Scabious (Knautia arvensis) which I bought as a wind damaged plant a few weeks ago. I performed some drastic surgery on it, trimming it all back, and now it is rewarding me with a fresh set of flowers. 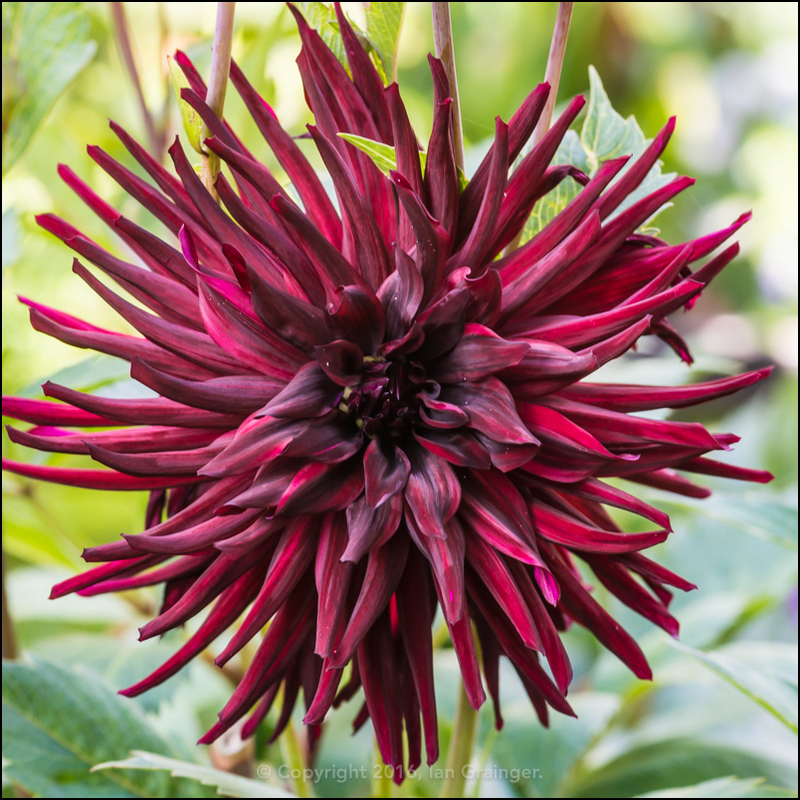 My Dahlia 'Nuit D'Ete' is getting better and better, and is definitely the best plant in my garden, although I have a few more Dahlias currently in bud, so next week that may change. 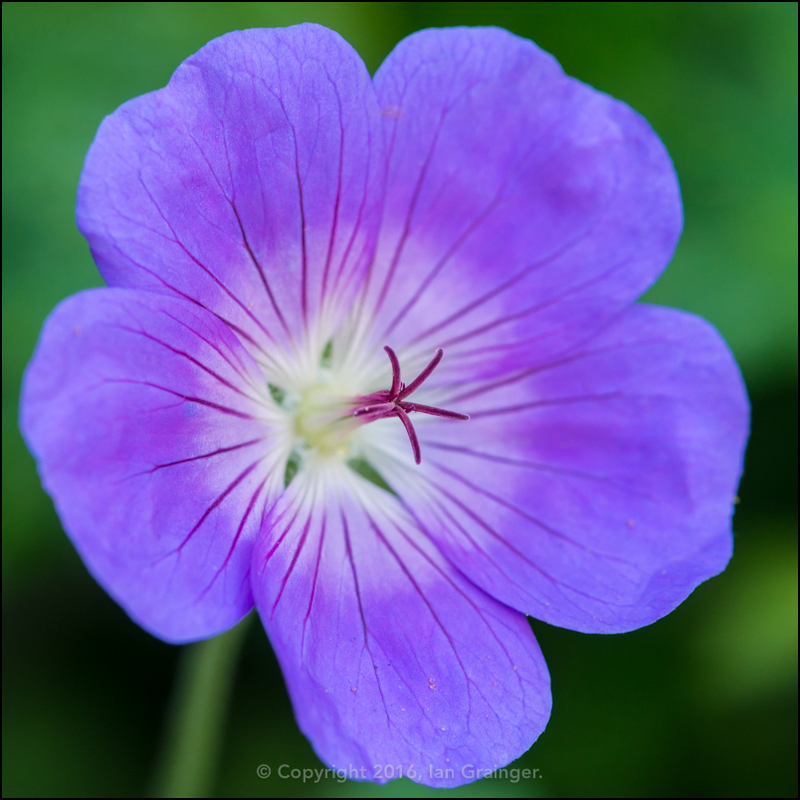 My Geranium 'Rozanne' has been flowering since May, and is now really getting into its stride, producing lots and lots of these really lovely bluey purple blooms. 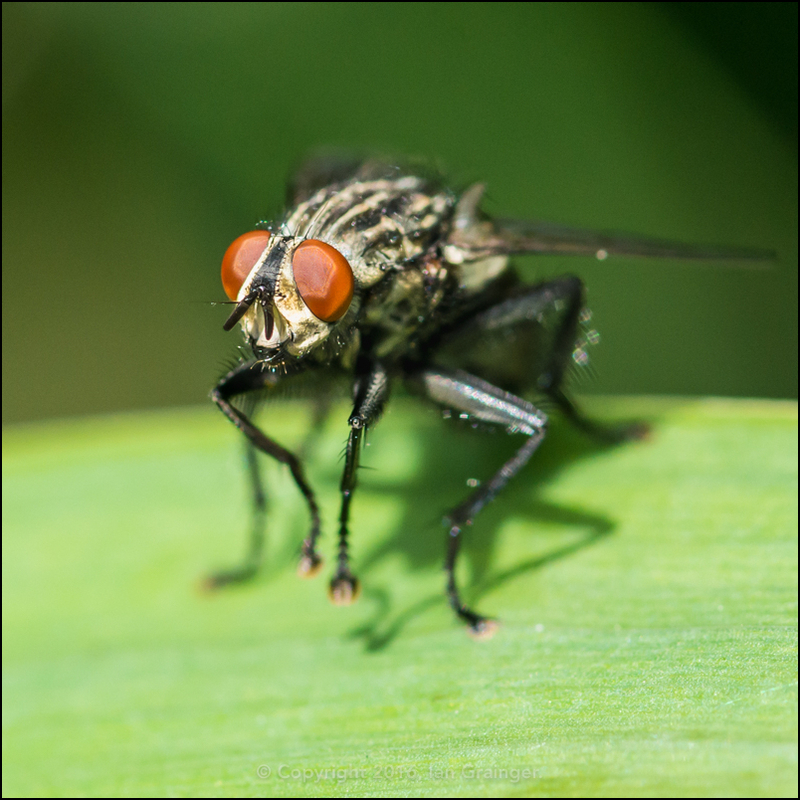 Now this is an interesting one! 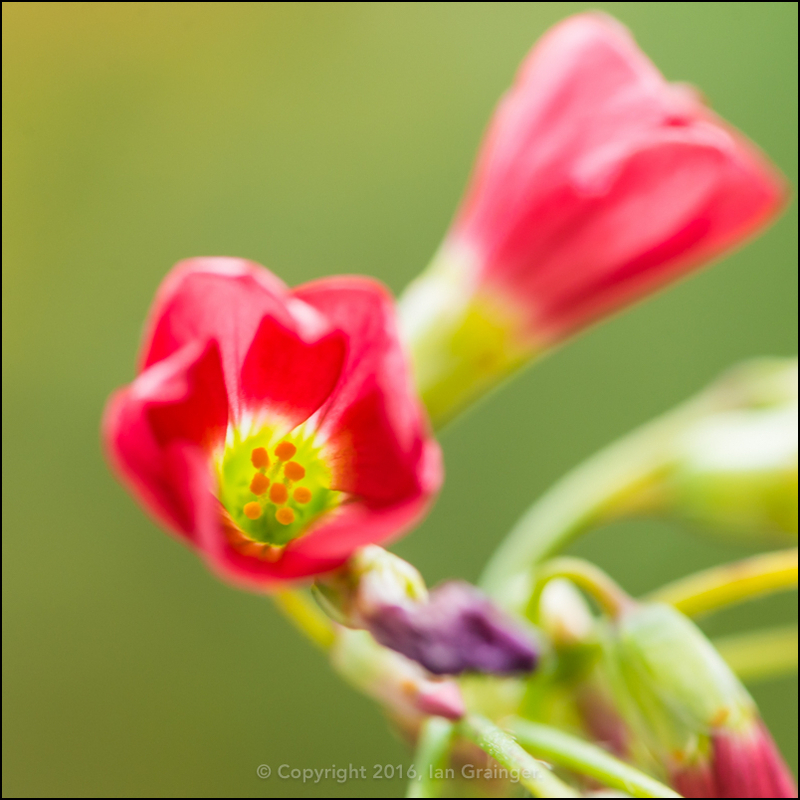 I've grown Oxalis 'Iron Cross' bulbs for the last three years, and although I've had nice lush green foliage, I've never had a flower appear. That is until this week. They don't look much when seen from a distance, but I think they're rather nice when seen in close-up. 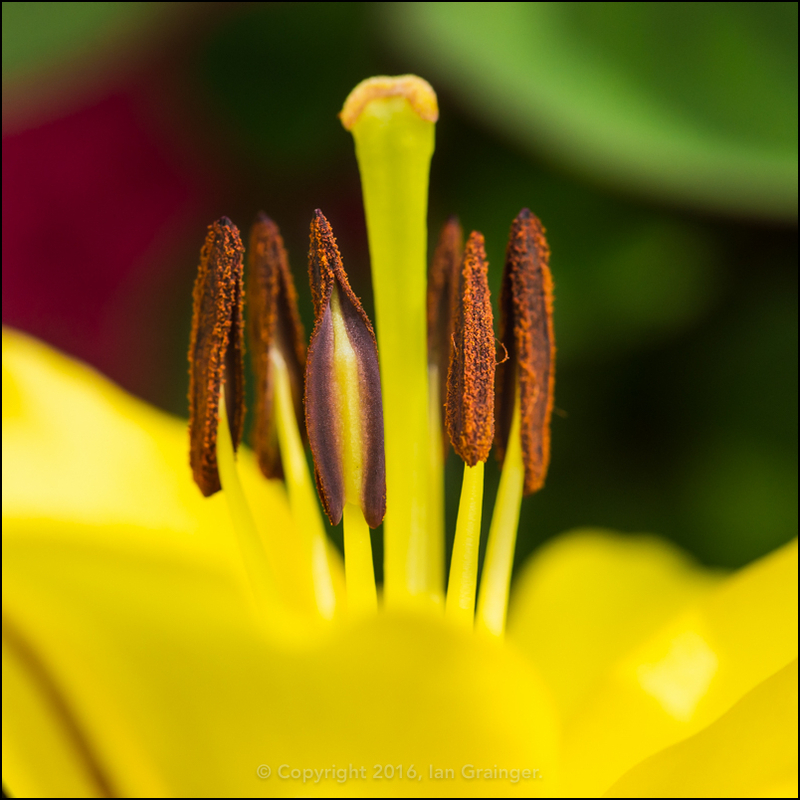 Finally, this week my Oriental Lilies (Lilium) arrived, a few weeks later than my Asiatics, but just as lovely.